Venkat Bhawan is located near Rewa, Madhya Pradesh. 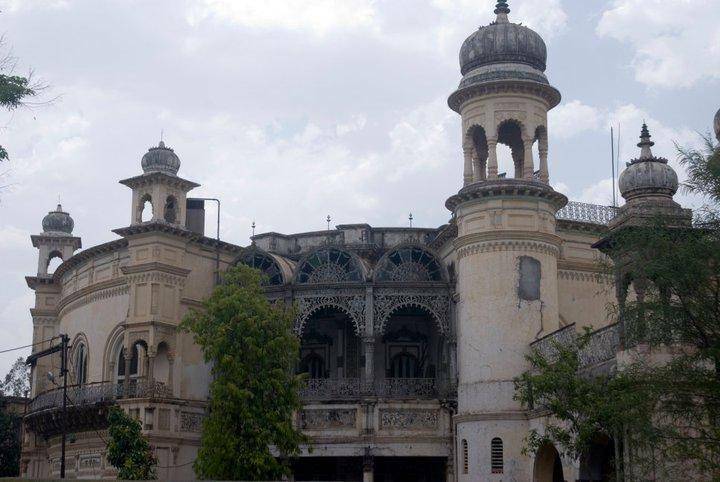 It was built in 1907 by Maharaja Venkatraman Singh. A circular pond surrounds the place. At the entrance, can be spotted a life sized carving of Lord Shiva and Parvati. These were brought from a nearby temple which was damaged. It has a total number of twelve doors which were a part of the ventilation system. The decorated halls will surely attract your attention. The beautiful statues increase the grandeur of this place. A big fountain and a swimming pool can also be seen inside the Bhawan. There is also a tunnel which was used by special people in the olden times to travel between Venkat Bhawan and the fort of Rewa.